Not many know allergies better than Emma Amoscato of Free From Farmhouse. Mum to two allergic adventurers, Emma runs a blog dedicated to families living with allergies and is author of new allergy guide, ‘Living With Allergies: Practical Tips For All The Family’. Who better to put Henry Allergy through his paces? 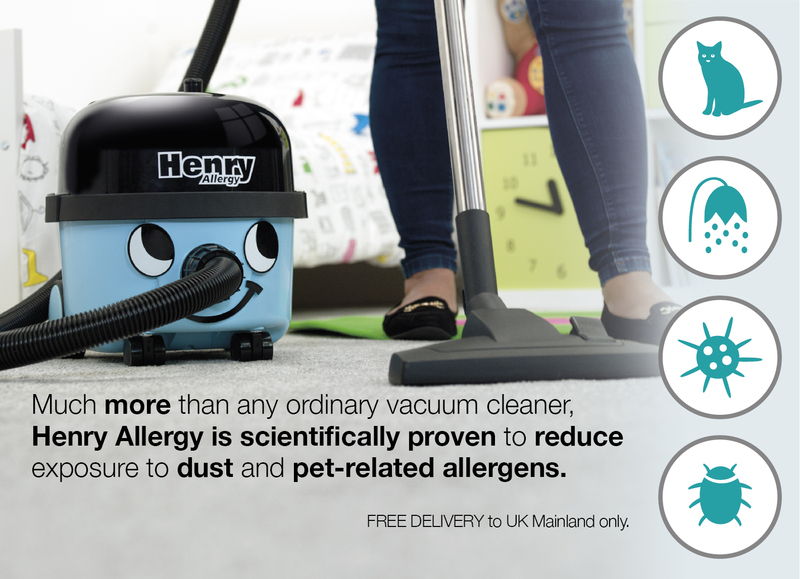 Engineered with an innovative, market-leading filtration system, Henry Allergy helps create a cleaner, safer and healthier home for you and your family to enjoy. 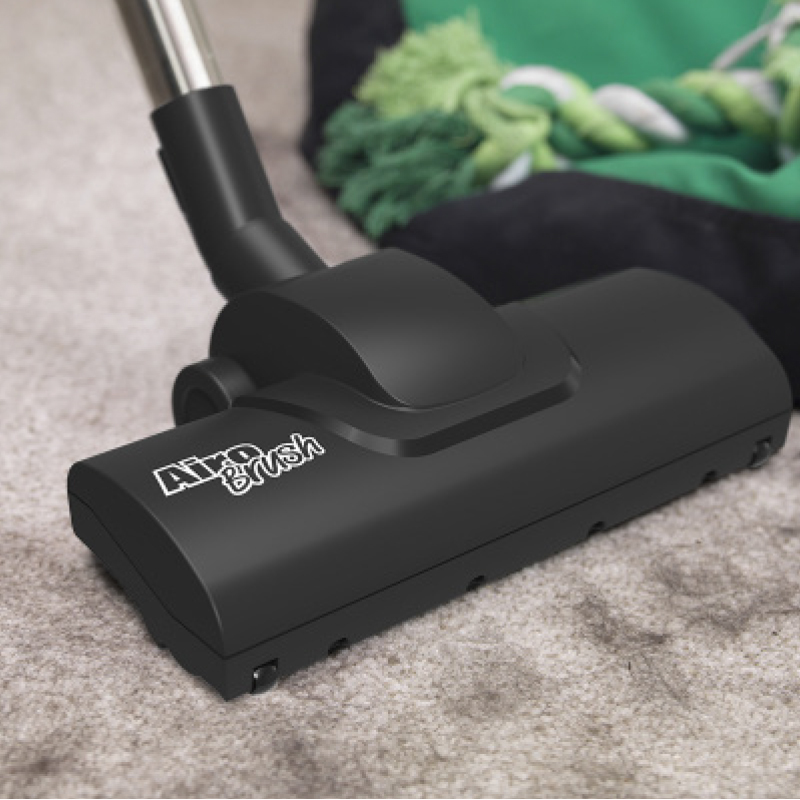 Equipped with an advanced 3-stage filtration system, he’s scientifically proven to reduce dust and pet-related allergens around the home. Independently tested, Henry Allergy is awarded the British Allergy Foundation’s Seal of Approval. 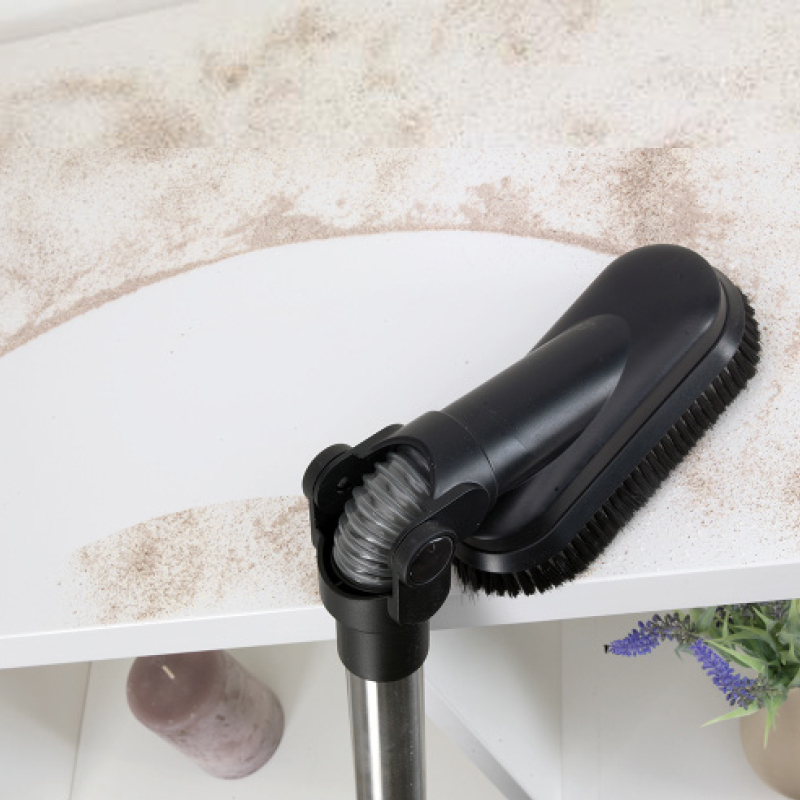 High-efficiency Henry HepaFlo Bags with innovative self-seal tab lock dust in the bag, so unlike with many bagless vacuums, you can empty with no dust, no mess and no allergens escaping. 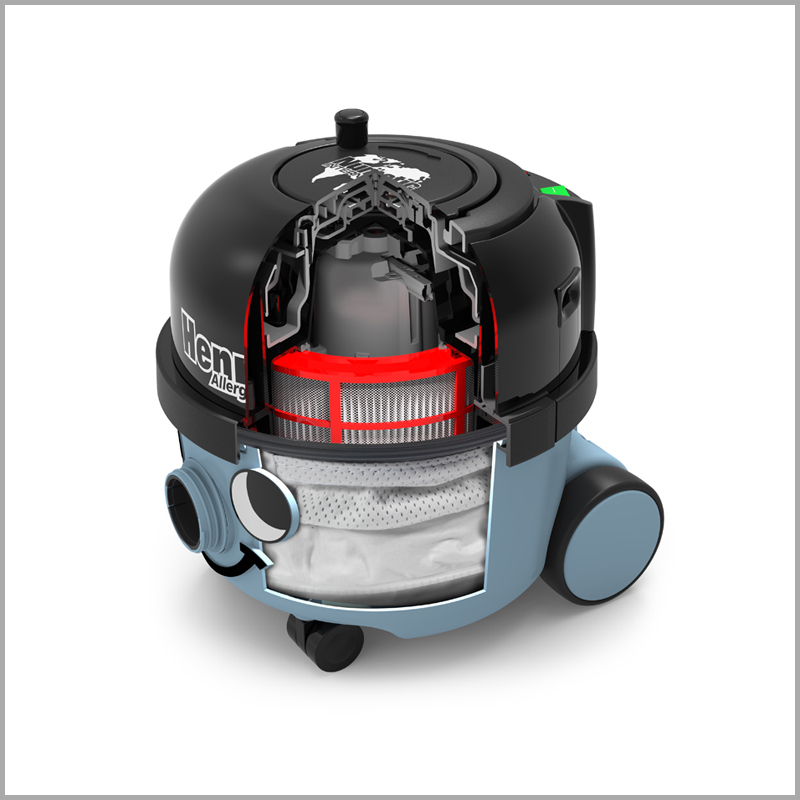 Equipped with a HEPA filter, TriTex filter and high-efficiency HepaFlo filter bags, Henry Allergy’s 3-stage filtration system stops allergens escaping. 1. Keep pets out of the bedroom and off the furniture. They may be part of the family, but not only do pets carry their own allergens, they also bring in pollen from outdoors. 2. 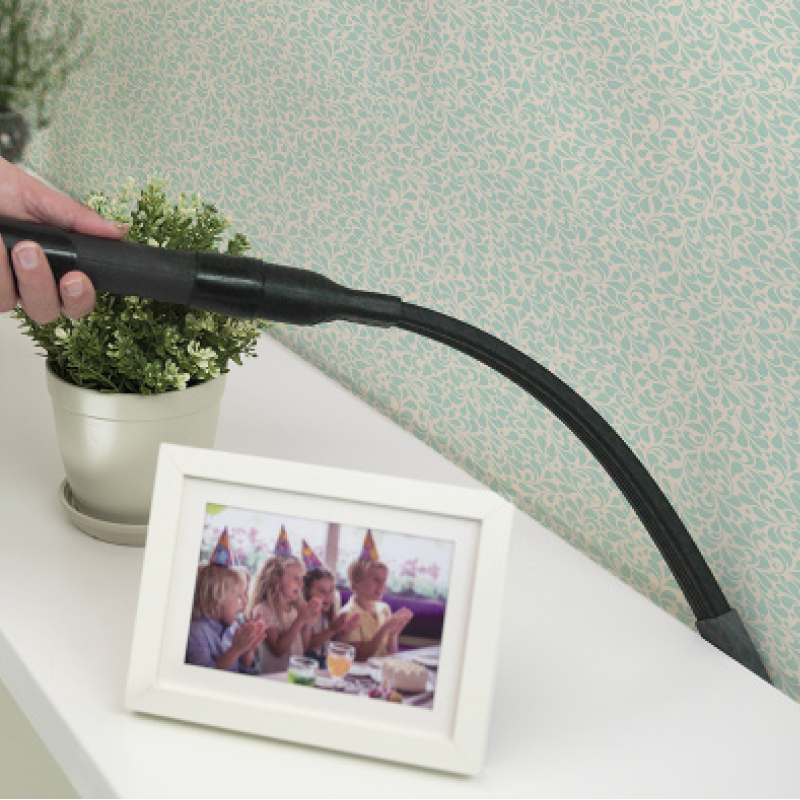 Dust, vacuum and mop those tricky spots. Just because they’re out of reach of us, doesn’t mean they’re out of reach of allergens. 3. 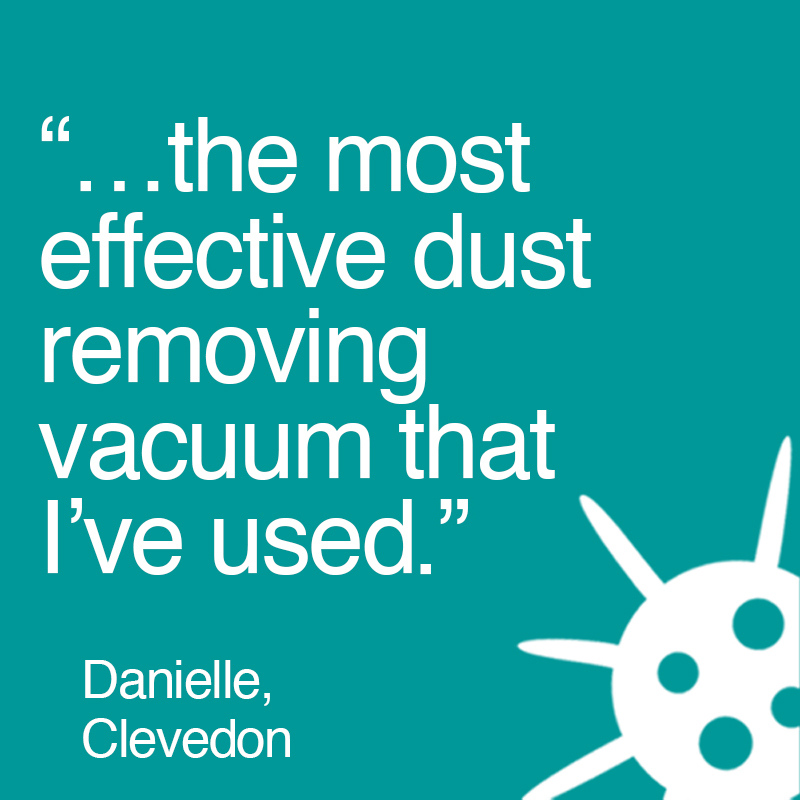 Dust mites love your bed just as much as you do. 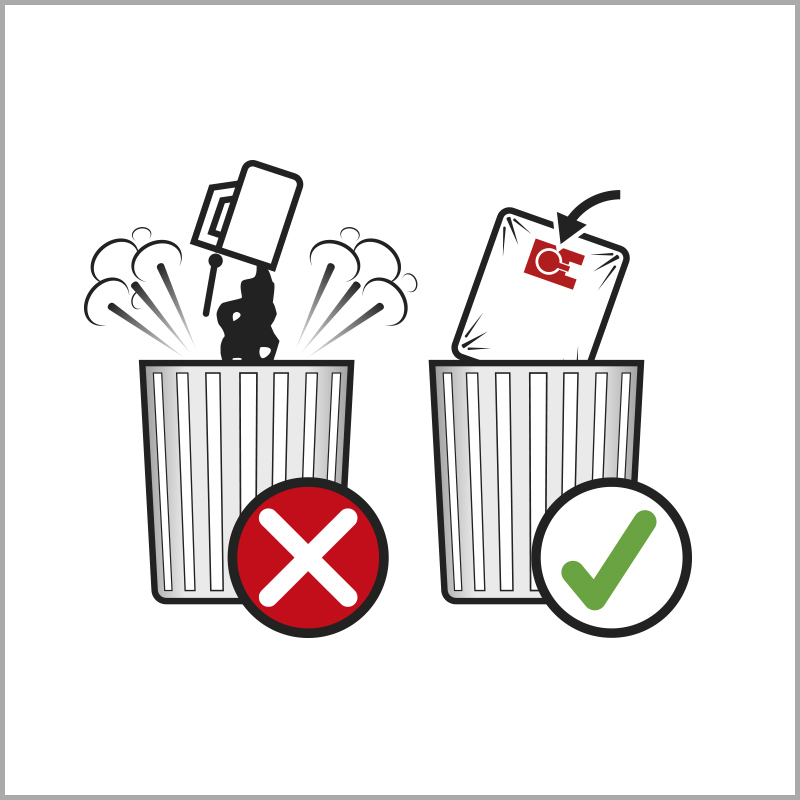 Keep them at bay by vacuuming the mattress and changing your sheets frequently. 4. Don’t let your wardrobe turn into a floordrobe. Piles of clothes are the perfect place for dust to gather. 5. A shower a day washes allergens away. 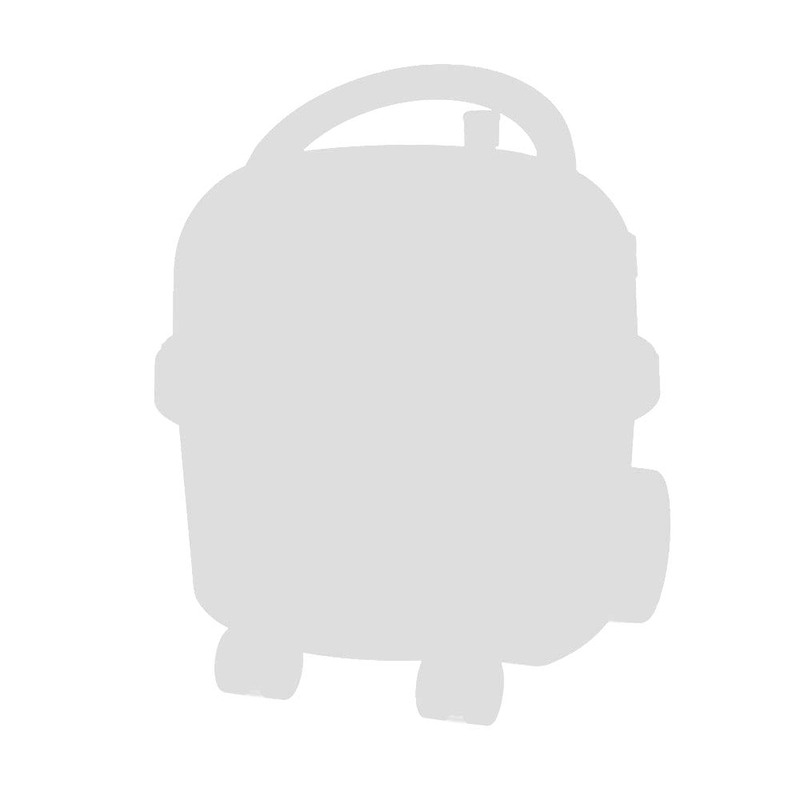 Shower and change clothing when you get home at the end of the day to avoid carrying allergens around with you. 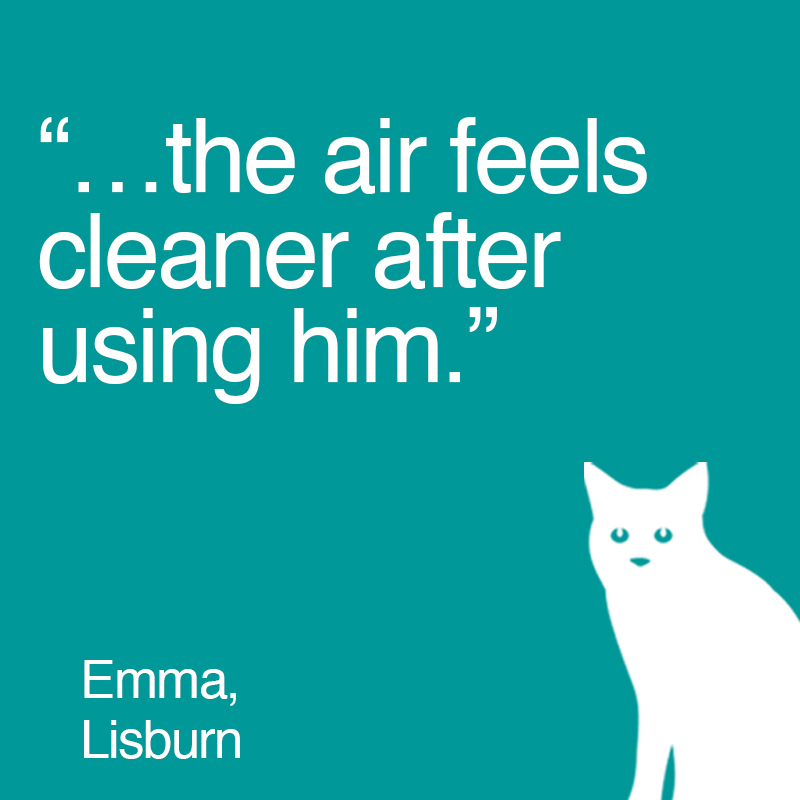 Easily picks-up stubborn pet hairs. Hard to reach becomes easy to clean. Never miss a spot again.